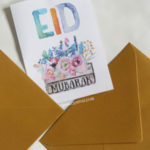 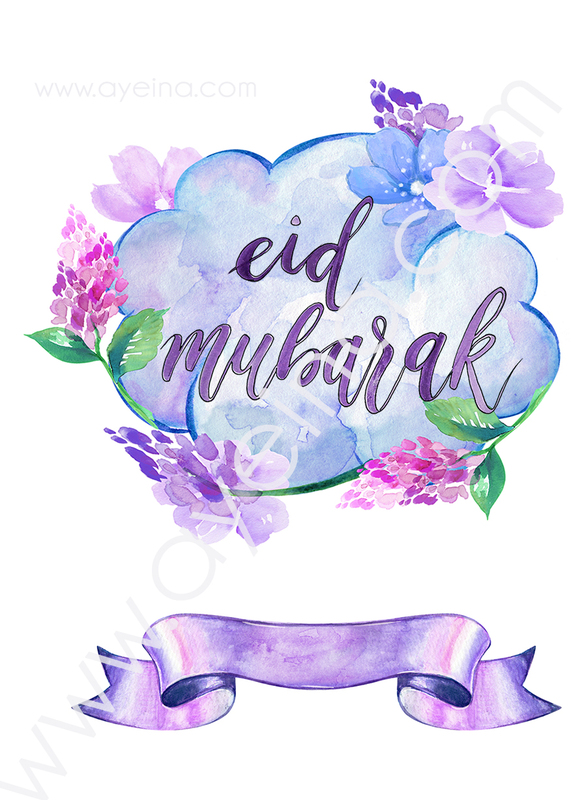 Eid Mubarak A4 printable with hand lettering by @ayshak_k (Instagram) and overall design (mixed watercolor elements – cloud,flowers,ribbon) by AYEINA. [Empty Ribbon for writing the name down]. 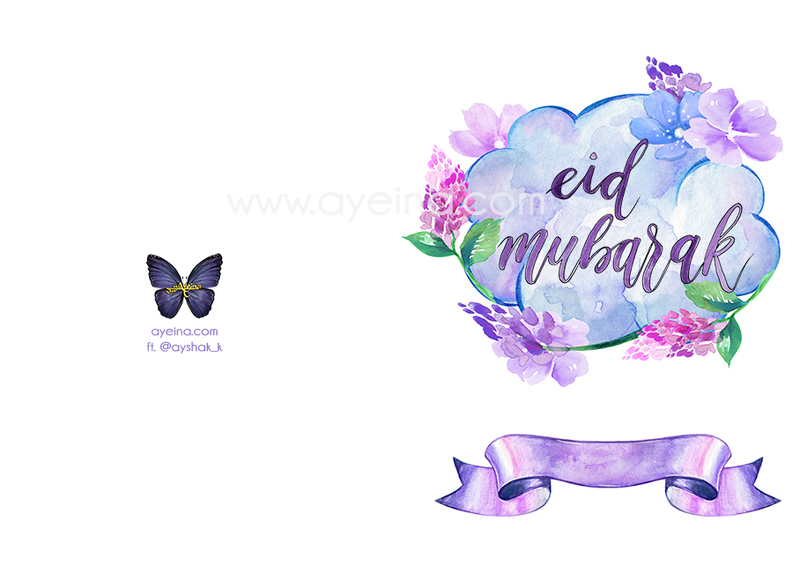 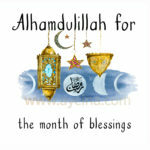 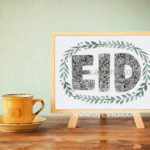 You will receive a high-resolution JPEG file of this Eid Mubarak art (A4 size).